Leave a few extra minutes to fuel up for a busy day at our complimentary, hot breakfast. 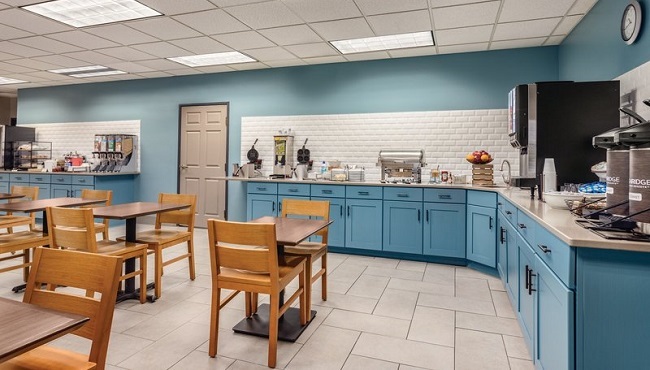 The Country Inn & Suites, Dakota Dunes offers tempting morning favorites like build-your-own Belgian waffles, fresh fruit, bagels and gourmet coffee. When it’s time for lunch or dinner, sit down to authentic Mexican cuisine at Lupita’s Tacos, Coney Island-style hot dogs at Milwaukee Wiener House or a range of exciting options at other nearby restaurants. Sat-Sun, 7:00 a.m. - 10:00 a.m.